For more than four decades, Molton Brown has built a reputation for being London’s bath, body and beauty connoisseurs. Their iconic perfumes, shower gels, body lotions, candles and hand care products blend exotic ingredients from around the globe with a touch of London eccentricity to create collections loved by consumers and travellers alike. 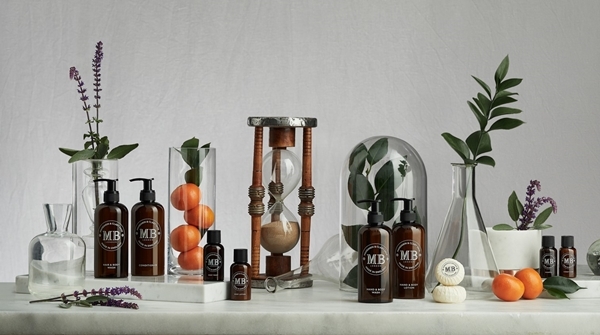 To celebrate their 45th birthday and honour their proud legacy as small-scale English artisans, Molton Brown is introducing The 1973 Collection. They created the range by delving into their vast archives for inspiration. The monochromatic, apothecary-style bottles are a nod to their past practice of pouring hand-crafted mixtures into amber glass vessels for enhanced UV protection. The reinvented ‘MB’ monogram was taken from some of their earlier products, lending a strong visual presence and symbol of effortless unity to this line. The result is a beautifully simple design that honours their past with a sense of contemporary minimalism. Being expert perfumers, Molton Brown wanted to create a scent profile for The 1973 Collection that would appeal to the modern globetrotter. 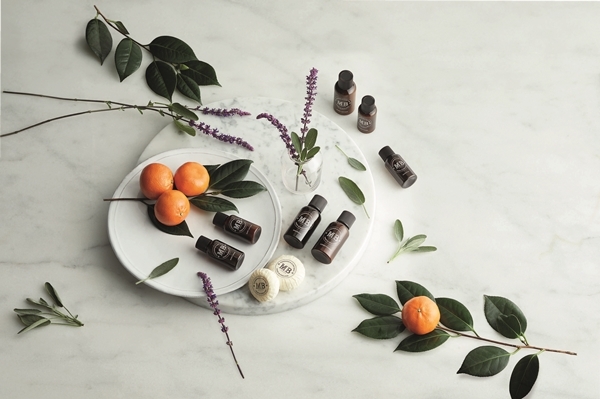 They crafted an enlivening fragrance of refreshing mandarin peel extract and balancing clary sage flower to energise the senses and restore wellbeing. Ideal for any environment and never overpowering, this scent will be coveted by your male and female guests. The 1973 Collection is now available in 30ml and 50ml bottles, and in 300ml dispensers with 5L refills, exclusively through Interior Images.